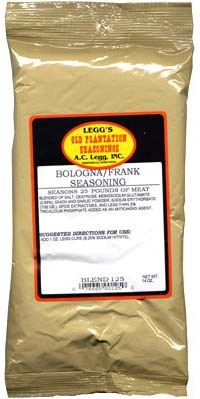 Leggs Old Plantation Bologna Seasoning blend #125 is a good choice for making sandwich, cracker size, ring bologna. 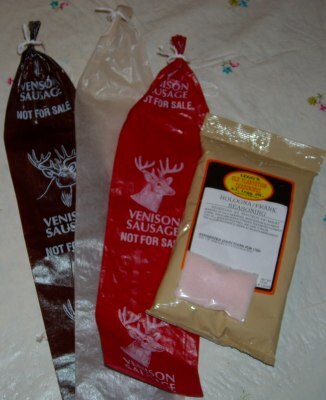 Use this bologna seasoning for red rind or smoked bologna. Old Plantation blend #125 works well with beef, pork, poultry, venison or any blend of meats. Also use this blend for franks seasoning. Stuff in fibrous casings for bologna products or natural 32mm-35mm hog casings for franks. One bag seasons 25 pounds of bologna. Net weight 14 ounces. 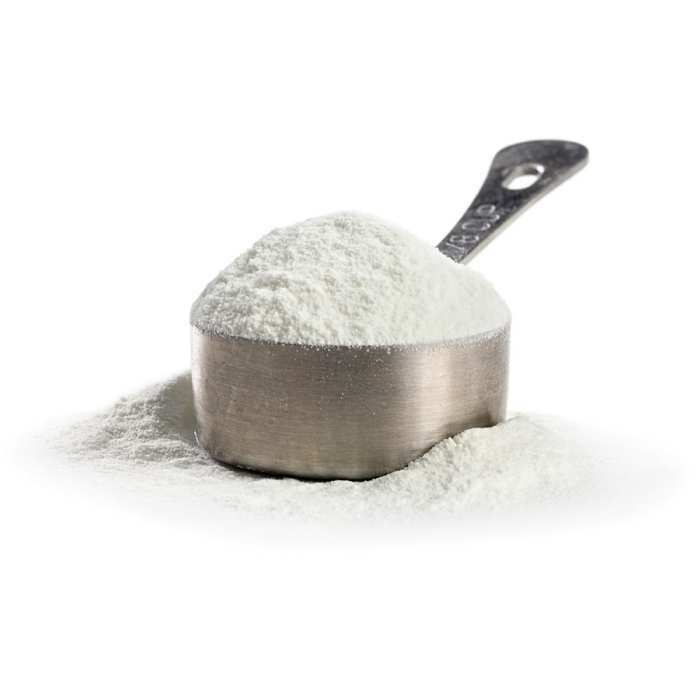 Blended of Salt, Dextrose, Onion, Garlic Powder, Sodium Erythorbate (7/32 ounce), and less than 2% Tricalcium Phosphate added as an anti-caking agent. All natural spices and spice extractives. Contains no wheat or dairy products. 5/7/2010 – To make firm lunch meat with the larger casings what temp and duration of cook time do you recomend?